Promotion valid for participating brands only. Free Cash Discount Coupon IDR 500,000 valid for min. purchase IDR 10,000,000 (receipt can be combined from workshop room and on counter purcase) . 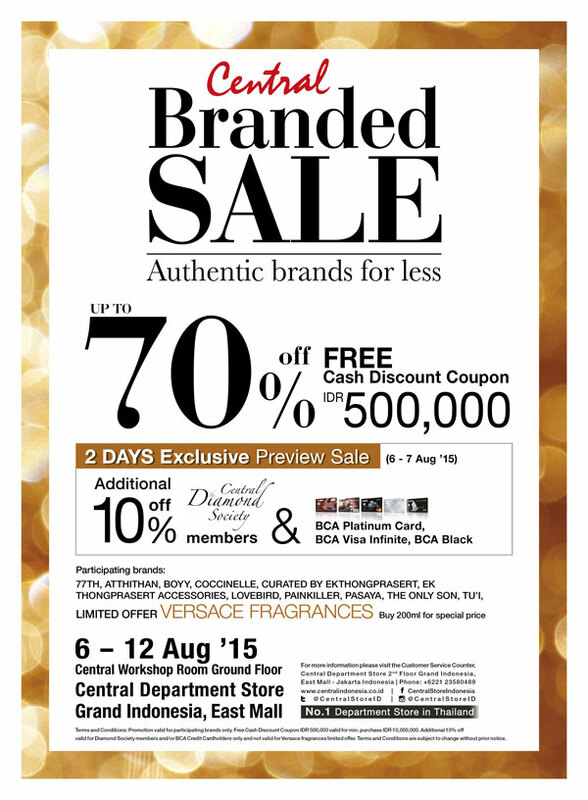 Additional 10% off valid for Diamond Society members and/or BCA Credit Cardholders only and not valid for Versace fragrances limited offer. Terms and Conditions are subject to change without prior notice.